Laboratory Chemicals, Analytical Reagents, pH Indicators and Solutions, Redox Indicators, Biological Stains, Rare Earth Oxides, HPLC Solvents, High Purity Acids, Karl Fischer Reagent, Bulk Packs, Laboratory Chemicals, Organic and Inorganic, Biological Stains and Indicators, Dehydrated Culture Media, Solvents and Acid of LR/GR/EP/UV and HPCL manufactured and exported worldwide by Blulux Laboratories Pvt. Ltd. India. © Copyright 2016. 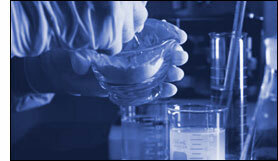 Blulux Laboratories (P) Limited.